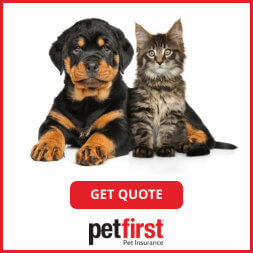 The Petfirst insurance company started in 2004 with its headquarters in Jefferson, Indiana. The founders are Lansdon Robbins and Brent Hinton. Brent was the CEO of the Kentucky Humane Society prior to PetFirst. The current CEO is Katie Blakeley. *You must submit a claim within 90 days of the treatment or invoice date in order to be eligible for reimbursement. Enrollment Requirements No exam to enroll, but if it’s the first claim, Petfirst requires the last 12 months of veterinary records. Offers short waiting periods: no wait for hips dysplasia, 1 day for accidents and 14 days for for orthopedic coverage. Allows upgrade in coverage with no penalty for changing your plan, however will be subject to new 14-day illness waiting period. Also, when you increase your limit, any conditions that developed under the old limit will be covered at the limit from the policy year in which that condition developed. Does not offer unlimited coverage option, highest payout plan maxes out at $20,000 per incident. Does not offer short waiting periods for cruciate ligaments and disc disease. The wait period is 12 months. Does not offer 24/7 customer service. No customer service hours on Sunday. Varied customer satisfaction reviews online. Claims must be submitted within 90 days of the invoice date or treatment in order to be eligible for reimbursement. Although Petfirst is one of the earlier pet insurance companies in America, customer satisfaction reviews are varied. In addition, if you would file multiple claims on your pet, Petfirst’s per incident deductible would require the pet owner to meet a deductible for every incident. 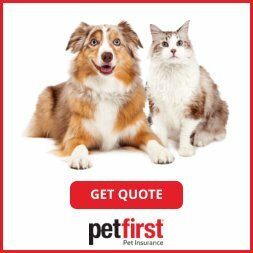 It is also important to note that Petfirst requires policy owners to file a claim within 90 days after the treatment or invoice date for the claim to be eligible for reimbursement. However, Petfirst counters all this by offering the most budget friendly customizable plans, offering the easiest and most lenient enrollment process, offering the most discounts for multiple pets, and one of the few insurance companies to cover bilateral conditions. Finally, Petfirst boasts one of the shortest waiting periods for accidents, illnesses, and hips dysplasia, and provides great coverage for senior pets. So if you are a multi pet owner,and seeking a budget friendly plan for all your pets regardless of age, with one of the shortest waiting periods, and the easiest enrollment process, click on Get Quote from banner link below and see if Petfirst’s plans and prices may work for you.